A perfume is a way to express your uniqueness. It reveals your character and your lifestyle, opening the door to the wonderful world of your feelings, habits, imagination and creativity. Modern men resort to their perfume for that feeling of assurance and maleness. It is therefore important that you choose your perfume by yourself. Your fragrance is your own self! Londessa perfumes are exclusive fragrances of outstanding quality and excellent durability, available at affordable price. Choose a Londessa perfume to suit your personality and feel assured of your cham! The famous Coco Channel once said that a woman who wears no perfume is a woman with no future. In order to be irreplaceable, a woman must keep being different. The thing that can make every woman special, unique and unforgettable is the good choice of perfume. Londessa has prepared over 180 different fragrance hues for you to choose from and give form to your elegance, sensuality, gentleness, ease, attraction and mystery… All our fragrance notes are characterized by durability, excellence of quality and affordable price. Children’s sensitivity to odours and children’s desire to use perfumes go beyond sheer imitation of their parents, whom children typically look upon when it comes to image – children’s interest in perfumes primarily represent an important development feature. It is hardly surprising to learn that fragrances are used to therapeutic purposes as well. Our offer of children’s perfumes contains fantastic fragrances for children, perfectly safe for use and enabling children to enjoy using their sense of smell, learning from the early age about the importance of having one’s own style, being self-assured, neat and good-looking. The After Shave lotion is a unique preparation for refreshment and nourishment of the skin after shaving, giving the truly exquisite feeling of satisfaction to users. The after shave provides an efficient protection for the skin against irritation caused by daily shaving routine, actively hydrating the skin in order to prevent its drying. It has a soothing effect on the skin, resulting in an incredible overall sensation of smoothness. Owing to its strong, attractive and recognizable odours, our after shave is intended for modern, elegant men, who are self-assured, ambitious and handsome. The packet contains 36 packages and includes 12 different fragrances. Our range of ladies’ eau de colognes will surprise you with fantastic fragrances that will give form to your sensuality, gentleness, carelessness… Feel free to choose the combination of the fragrance notes for yourself, because it is you that they represent! Our offer contains different kinds of men’s colognes oozing a fragrance of unrestrained freedom, sensuality, freshness, maleness and seduction... Choose a Londessa eau de cologne to suit your personality. 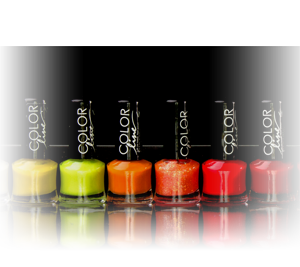 Color line nail polishes are high quality products which do not contain toluene, formaldehyde or camphor. They are enriched with vitamins providing additional care for your nails. 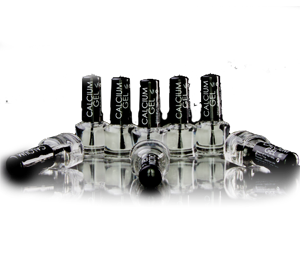 The unique chemical composition takes care of the health of your nails and also enables easy application of the polish on the nails, securing the shine, resistance and longevity of the polish. TheColor line brand represents an outstanding combination of cosmetics quality and technical innovation. Our offer also includes a wide range of colours. 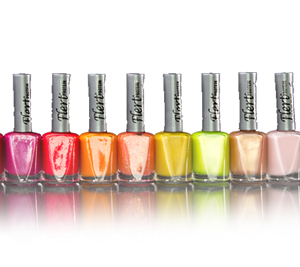 Flert protein nail polishes are another brand of nail polishes offered to you by Londessa. These polishes feature an elegantly long brush which enables easy application of the polish on nails. The unique formula guarantees durability and fast drying, enabling a perfect look of your nails over a long period of time. It is said that nails are a mirror of your character, while their colour reveals your temperament. We believe that our range of colours contains the one which is a perfect match for your type of personality. 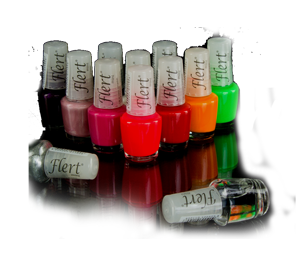 Mini flert nail polishes represent another nail polish brand offered and warmly recommended to you by Londessa. In addition to the practical design and affordable price, these nail polishes feature the elegant brush, which enables easy application of polish on the nails. The durable, quick-drying formula will make the perfect look of your nails last long. We know the saying that your nails are a mirror of your character, while their colour reveals your temperament. We believe that our range of colours contains the one which is a perfect match for your personality. 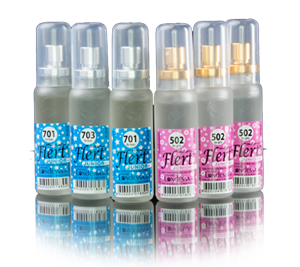 A packet contains 80 flasks of Mini flert nail polish in different colours. Colours play an important role in everyday life. They remind us of the places we love, they revive memories of our dear ones, our favourite seasons and often reflect our mood. This is our invitation for you to start a dance in the world of colors, accompanied by the Londessa brand, the Play of colors - Classic. This brand has a double-width brush (maxi brush) preventing formation of the polish residues in the grooves of the nails, so that the polish is applied smoothly and evenly, without leaving any traces or lines on the nails. 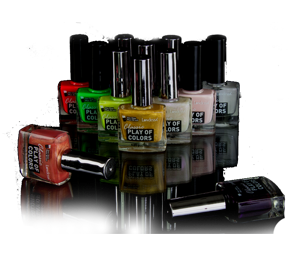 Play of colors fluo – polishes with a special formula, a high content of pigment and a wide range of colours. Play of colors glitter – polishes with homogenous, thick mass, glittery structure, enabling easy, smooth and even distribution of the polish over the surface of the nails, as well as a high durability of the polish. Play of colors velvet – dense matt polishes of prolonged durability. They are easily applied, and it takes only one layer for your nails to obtain a perfect look. Play of colors sugar mat – dense, matt-texture nail polishes, giving the nails a special look of the finest sugary crystal glazing. The polishes are applied in a single layer if a second layer is applied, it is necessary to allow sufficient time for the first layer to dry out. Play of colors – Classic polishes have a high content of the pigment, enabling uniform distribution of the polish over the surface of the nails and prolonged durability of the polish. The nail polishes with the effect of a cracked surface havve become popular worldwide. By using theCraquele nail polish, you can also decorate the tops of your nails with the trendy fashion look. Londessa has gone a step further to provide you with a choice of colours to use in accordance with your preferences. The classical and elegant manicure of a lasting popularity as a fashion item, well-known as the French Manicure. It synonymous with elegance and style. 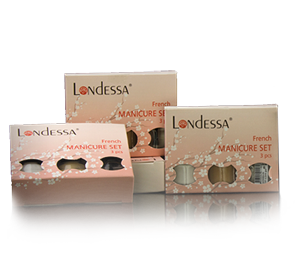 There are two types of the French manicure in Londessa’s offer – in white and beige colours. The oil nail polish remover contains nail-nourishing oil, yielding a pleasant aroma for a long time after the use. The formula contains ricinus oil, with a fast replenishing action which regenerates the nails and efficiently nourishes and protects the cuticle - skin at the nail base, (by preventing the bacteria and fungi at the nail surface from invading the inner tissue). By using the oil nail polish remover, the rough surface of the nail soon becomes smooth and shiny, owing to the ability of ricinus oil to penetrate the tissue and revitalize the keratin structures. The oil nail polish remover is especially suitable for removal of bright nail polishes. If your nails are not very strong and show a tendency of drying, scaling and cracking, using an ordinary nail polish remover with a content of acetone may cause additional drying, stiffness and damage to your nails. In that case we recommend using the oil nail polish remover without acetone, which features an efficient and mild formula, easily removing the nail polish form natural and artificial nails, without damage or bleaching. The acetone-free oil nail polish remover the protein component which reinforces the nail plate and prevents scaling. Ricinus oil replenishes the nails, makes them shiny and emulates the skin around the nail, making it soft and moist. 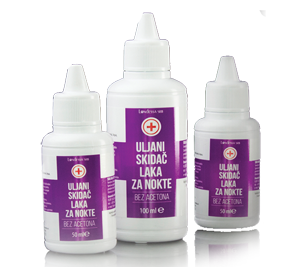 Combined with the positive effects of the protein component, the ricinu oil regenerates hangnails. This gel is enriched with calcium and vitamins, contributing to its strengthening action on fragile and scaly nails. The calcium gel protects nails from the adverse impact of water and detergents. It can be used on a daily basis in regular care of nails, as well as a base for manicure over which to apply your favourite Londessa nail polish. 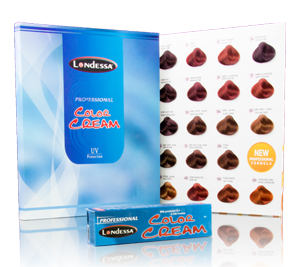 Londessa offers the emulsion cream hydrogen of a pleasant odour. 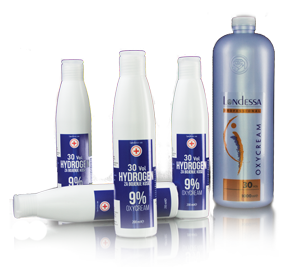 The best results are achieved when this hydrogen is combined with Londessa hair dyes. 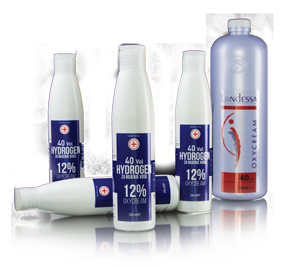 Colouring the hair with the help of our best hydrogen becomes safe and secure, with no irritation or redness of skin. 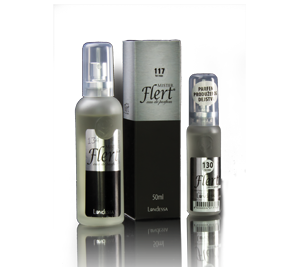 The three-percent hydrogen is an excellent solution for colourants which freshen up the colour of a streak in the hair or for dark colourants which refresh the hair colour. 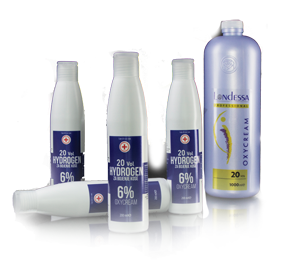 Our 6% hydrogen contains stabilised hydrogen peroxide (H2O2. Owing to its active component, it significantly reduces damage to the hair. Decolouring – bleaching and dying with the hydrogen crème – makes the process more enjoyable and much safer for the hair. The six-percent hydrogen is suitable for all types of hair dying, since it does not change the hair hue. The nine-percent hydrogen is used as an addition to the hair dye and the bleach, but it can also be independently applied to the hair, i.e. it can be used for hair bleaching to suit individual preferences of users. The user can determine the concentration of he hydrogen, according to their preferences. Thee nine-percent hydrogen is used for more demanding bleaching of hair, such as blonde, or when changing the hair colour from a dark into a lighter shade. The hydrogen has a pleasant odour. The twelve-percent hydrogen is mostly used for dying into the lightest shades of blonde hair. Considering that the twelve-percent hydrogen entails the greatest risk of damaging hair, its frequent use is not recommended. 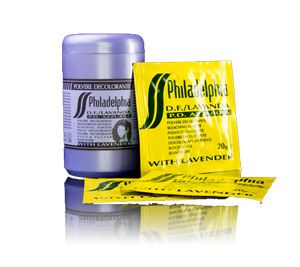 The Philadelphia hair bleach is a product abundant in concentrated active supstances. The quality of this product is best reflected in the formula that prevents damage to the hairs, while at the same time effectively removes the pigment. In order to achieve the best possible effect and optimum protection for the hair, it is recommended that the bleach be used in a combination with the Londessa hydrogen, in accordance with the enclosed instructions. Londessa hair dye is a high quality concentrated hair dye with a very low ammoniac content. It is enriched with pro-vitamin B and silk proteins. The existing combination of ingredients increase the moisture and elasticity of the hair, helping the development of new hair cells and hair regeneration. Our offer includes a highly diverse range of colours – we invite you to see it for yourselves! 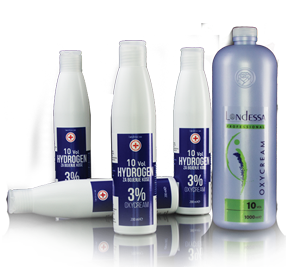 We recommend that the Londessa hair dye be always used with the Londessa hydrogen (3%, 6%, 9%, 12%). 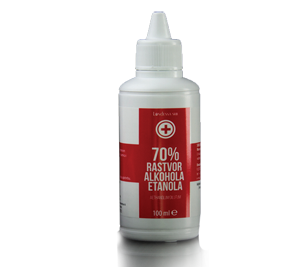 Seventy-percent solution of alcohol is used as a strong antiseptic agent. The antiseptic action decreases with the increase of concentration. Ethanol is used as a bacteriostatic (in concentrations between 8% and 10%), as well as an antiseptic agent (70% ethanolum dilutum). Londessa offers a package of 12 pieces.